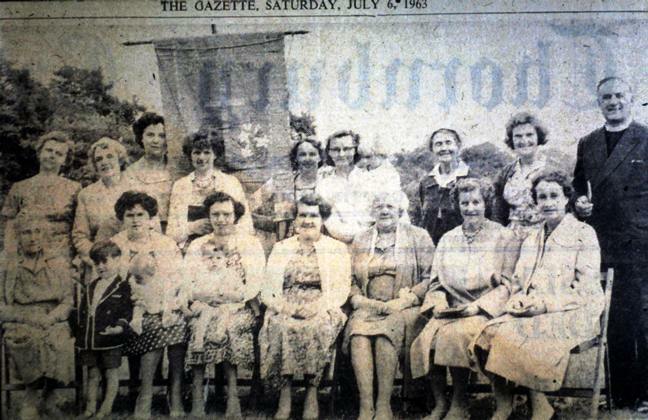 Tytherington Mother's Union July 1963. Standing L to R Edna Grey, Olive Pope, Alice Johnson, Joan Livall, ?, Nancy Nelmes, Monica Williams holding Valerie?, Mrs Neighbour, Rev. William Neighbour. Seated L to R: Mrs Hollingsworth, Pat Livall, ?, Mrs Messenger, Mrs Boyt, Mrs Cotterell, ? 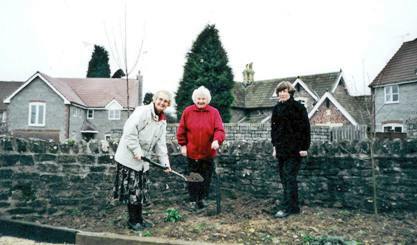 WI members L to R: Judith McCollam, Valerie Niblett and Janice Cornock in 2000 planting the Millennium oak, part of a national event, in the village shop car park. The tree was subsequently moved to the other side of the car park because of over grown foliage! 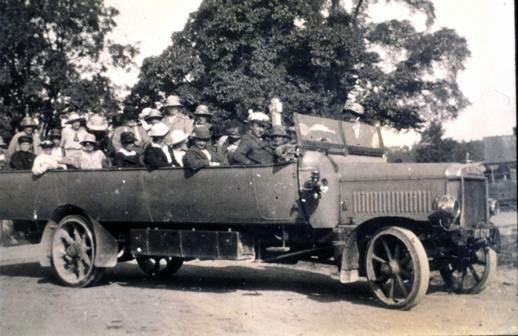 Available records suggest that Tytherington's WI was first formed on 1st September 1920. Meetings were suspended on 8th February 1940 for the duration of World War II and then resumed on 20th April 1946. Meetings have been held every month since then. Tytherington WI celebrated its 90th anniversary in 2010 with an evening get-together in the Village Hall. 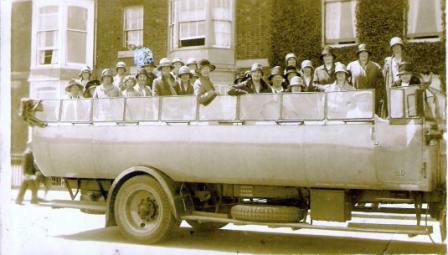 Today WI members continue to support village activities such as the May Day Fayre and the Gymkhana, as well as enjoying two or three coach trips each year to various attractions.